In the Google era, we have access to all kind of information. In fact, if you are reading this article, you might have landed through the google search engine. So, how can you devoid your kids from such a useful tool blessed to mankind? You can’t and you won’t, because kids are dependent on Google for their day to day activities. Google is extremely popular among kids. It answers all their queries, right from their science homework to their favorite actor’s favorite car. Google has the answer to all our questions! 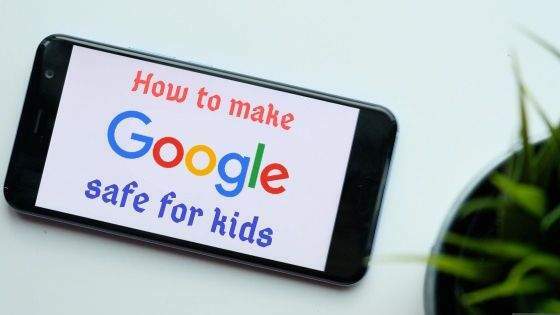 There are several parental control apps for android Mobile and policing your kids online and restricting uninvited information. It is only right to assume that kids will never stop using Google, but we can control what they can view on Google. Are you pondering how? Well, the good news is there are several ways to safe search google. Here is how. Google has created a primary kid control feature to help parents control their kid’s search activities. Safe search restricts and filters inappropriate content out of the search results. The idea is to prevent kids from coming face to face with any sexual content or adult content which can leave a wrong impression at such an early age. Safe search also filters out violent images and videos from the search results. Interesting, right? Google has truly designed an innovative way to prohibit inappropriate content and explicit images, videos and websites. Kids may not be 100 % safe but most violent, and adult content can be blocked out. Not bad, right? 1. Access Google, and search for something. 2. On the search result page, you will find “settings” written over to the top right. Click on the search settings. 4. Now at the bottom of the page and click on “save”. We are sure you must be wondering, kids are smart and can crack this setting easily. So, how do we lock the setting? Like all the answers google produces, it has answered this query as well. 1. Reaccess the search settings and click on “Lock SafeSearch”. 2. Now log into your google account. 3. Now click on “Lock SafeSearch” and Google will lock all google domains. Once you have locked the search, Google will show you the progress and give you a confirmation message. Your kids will not be able to change the setting without the account holder password. When you or your kids try searching next time, the balls in the background will indicate that safe search is on. Despite the safe search features, kids access the internet from other channels like friend’s mobile devices, school library, cafeteria, etc. It can get difficult to get an extra pair of eyes to watch over your kids, so it is recommended to maintain certain safety rules to secure kids from any undesirable situation. 1. Talk to kids about internet risks when they are most receptive, such as going to eat ice cream or dinner time. 2. It is essential that your kids can approach you when some issues unfold online. Parents need to stay calm and handle the situation without any judgemental remarks. 3. Sit with your kids during their screen time at home and ask their advice on different websites. Get an idea of what they watch and what they hide. 4. Keep a check on their search history at home. 5. Advise your kids on social media safety. Provide exclusive details on privacy settings and its importance. 6. Share news pieces on cyberbullying and cyber attackers with your kids. Educate them on the issues positively, do not scare them off. A right tone will create the conviction. 7. Share the importance of having a password. Explain to your kids the importance of changing the password after a time interval, setting a strong alphanumeric password and not sharing passwords with others. 8. Teach kids the definition of private and confidential data. Kids need to know sharing policies on the web. Today’s kids highly appreciate their discretion with digital devices and social media activities. Interference by parents or elders is not seen as a sign of safety but a violation of privacy. How can you verify your kids are in safe hands without interfering or pestering them on a daily basis? Have you tried using the best parental control app available on the app store? No? Bit Guardian is a one-stop shop for remote control of your kids’ device, real-world safety features, and anti-theft measures. Internet activities can not only be tracked, but inappropriate websites and apps can be blocked using the app and restrict internet uses by kids. Are you still waiting to change the settings of your kid’s search engine? You are still wondering if the parental control app is required? Well, friends, it is the need of the hour, any slackness on safety measures can cost your kids their future. Hurry Now! Do not miss out on the innovative safety features of Bit Guardian Parental control app.